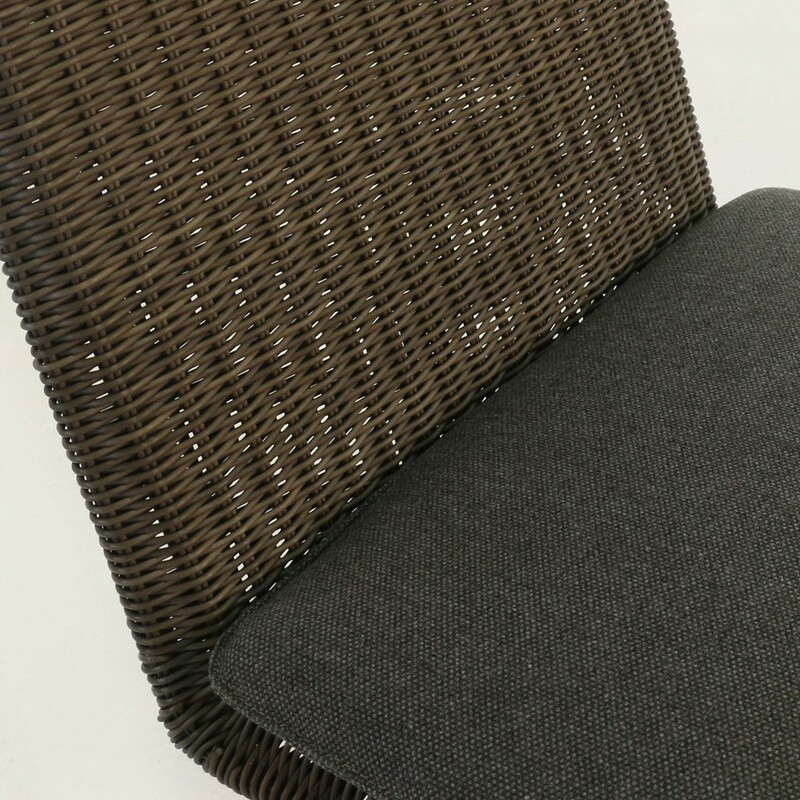 Curate comfort and prestige in your outdoor area with the extraordinary Loop Swivel Outdoor Dining Chair in mud grey. A chair that knows no bounds in style, the Loop Chair has a unique swivel function that facilitates and excellent communal dining experience. The simple mid century style is flung into a contemporary urban vibe with the incredible technology and superb materials used. A sleek wicker dining chair sits atop 4 legs with a rotating swivel part that is chic, airy and oh so attractive to behold. This charismatic design looks incredible in many spaces. Perhaps you have a round teak table in the midst of your paved courtyard. Freshen up the space with the modern sensibilities of the Loop Swivel Chair in charcoal! Place 8 around your table, with a matching dark grey or black umbrella in the middle for a relaxing and resplendent sanctuary! The Loop Chair is a great piece to have indoors as well as out. Situate around your kitchen breakfast table for a chic, sleek look you and the family will love! Design a stylish outdoor dining space with the Loop Swivel Dining Chair. It’s a modern version of the classic wicker-dining chair. 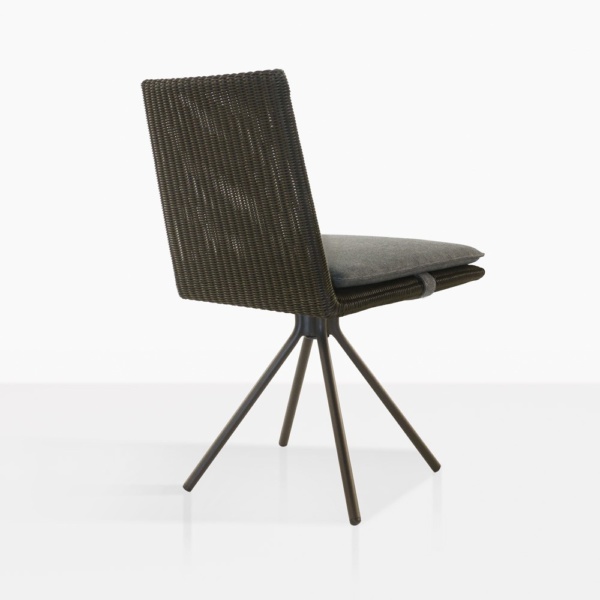 It has sleek lines, a powder coated steel base and expertly woven wicker seat. 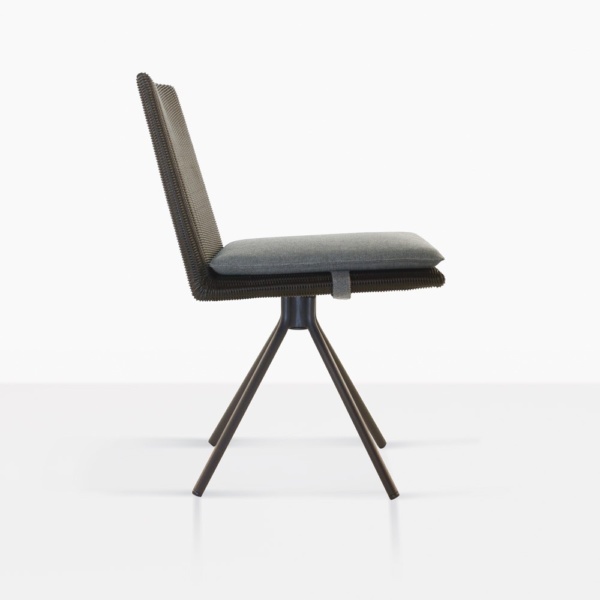 The seat swivels on the steel base, making dinner conversations and movement easier. The seat is topped with a removable Sunbrella® cushion. All and all this fantastic dining chair is an incredible design with tremendous quality! Teak Warehouse is a leader in luxury outdoor furniture, you just have to peruse our website to see the 100s of quality outdoor products designed to transform your living space to one of opulence and charm. 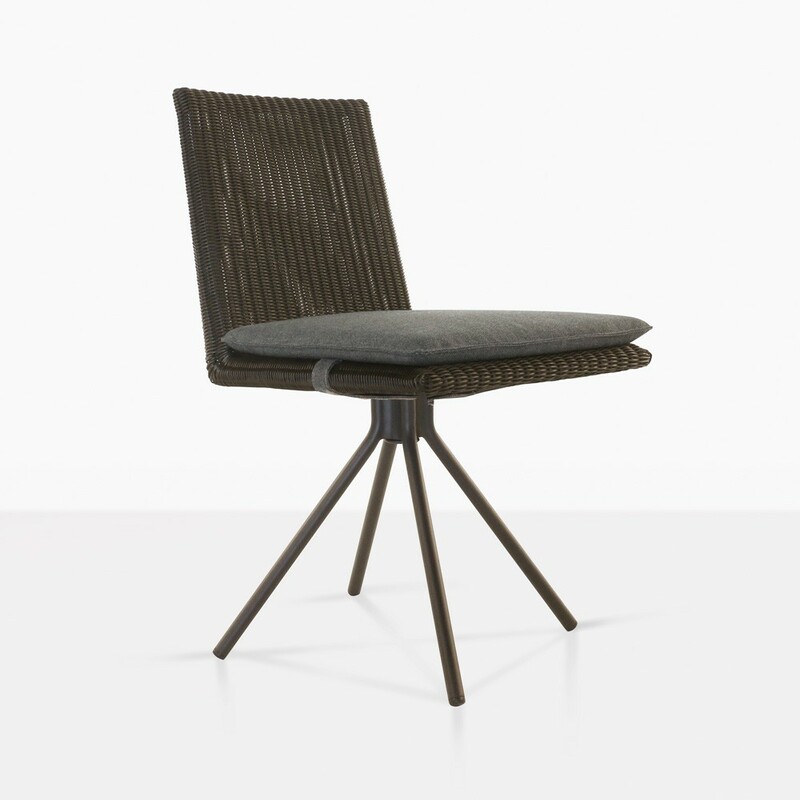 To purchase your Loop Swivel Dining Chair, call us today! We will arrange a quote at no extra cost to you!